The cathedral of Notre Dame in Paris is home to various artefacts, artwork and relics collected over the centuries, each with its own story. As a devastating fire tore through the revered Gothic cathedral on Monday, toppling its spire, many feared the items might be lost. 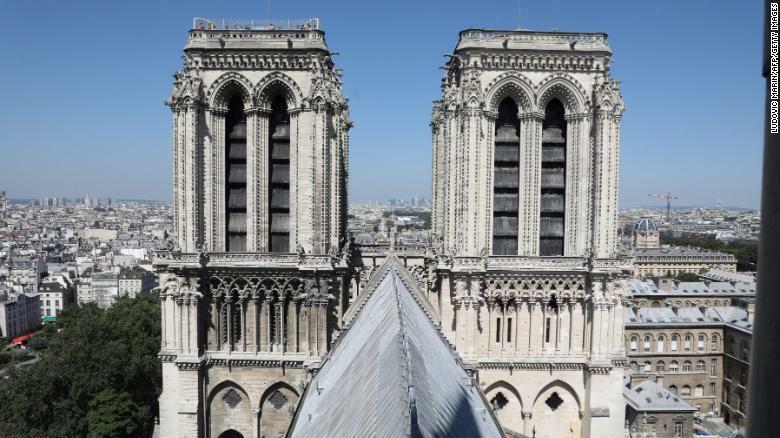 A "forest" of wooden latticework fueled the fire, bringing down the iconic spire and consuming the roof, whose framework dated back to the 13th century, according to Msgr. Patrick Chauvet, the cathedral's rector. They were just two features in a historic structure renowned for its architecture and other noteworthy features. 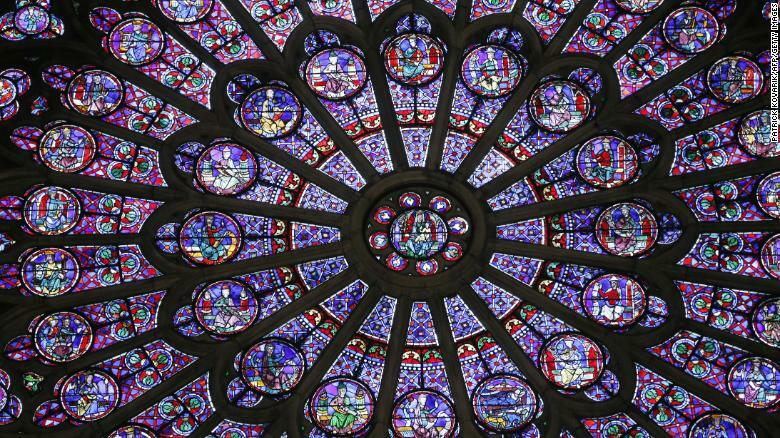 • The Rose Windows are a trio of immense round stained-glass windows over the cathedral's three main portals that date back to the 13th century. The stained glass on the northern side of the Notre Dame cathedral in Paris. 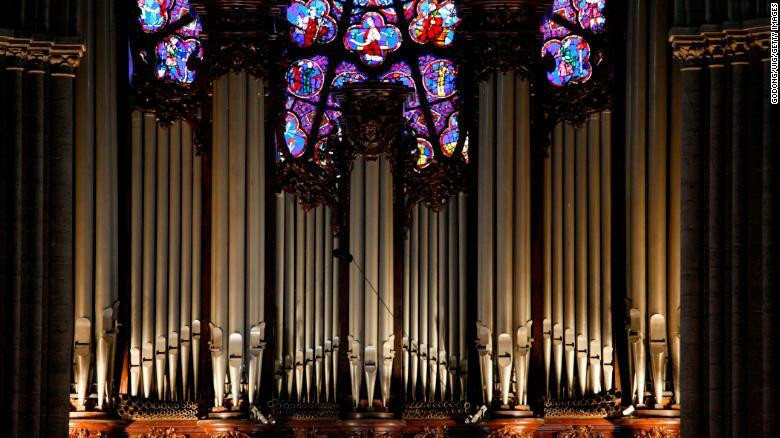 • The original Great Organ dates back to medieval times. Over the years, organ makers renovated the instrument and added onto it, but it still contained pipes from the Middle Ages before Monday's fire. The position of titular organist, or head organist, carries great prestige in France and around the world. The master organ is used for public services. • Numerous sculptures, statues and paintings inside the cathedral depict Biblical scenes and saints. One series of 76 paintings, each nearly four meters tall, commemorates the New Testament's Acts of the Apostles, including the crucifixion of St. Peter and the conversion of St. Paul. The works were completed between 1630 and 1707 by the members or associates of the Royal Academy of Painting and Sculpture. Another painting is from a series by Jean Jouvenet depicting the life of the Virgin Mary. All six from the series used to be in the cathedral. They were moved to the Louvre in the 1860s, and only "The Visitation" was returned to Notre Dame. A portrait from 1648 of St. Thomas Aquinas also graced the cathedral's interiors. • The twin bell towers were the tallest structures in Paris until the completion of the Eiffel Tower in the late 19th century. The twin bell towers of Notre Dame Cathedral. The North tower was completed in 1240 and the South tower in 1250. • The cathedral's main bell, Emanuelle, lives in the South Tower. It has marked significant moments in French history, such as the end of World War II, as well as holidays and special occasions. The Crown of Thorns is a relic of the passion of Christ. 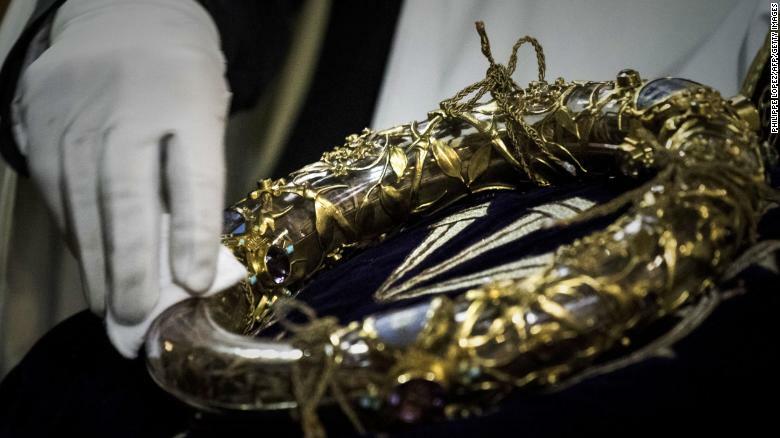 • The cathedral's treasury contains several artefacts sacred in Christianity, including what is believed to be the Crown of Thorns, a fragment of the True Cross and one of the Holy Nails. 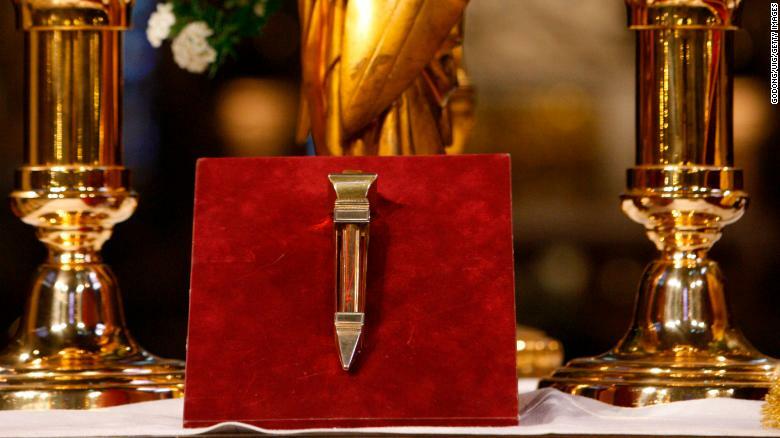 A nail from the cross upon which Jesus Christ was crucified is housed inside Notre Dame cathedral. • On the cathedral's exterior, a menagerie of menacing gargoyles and chimères stand guard. 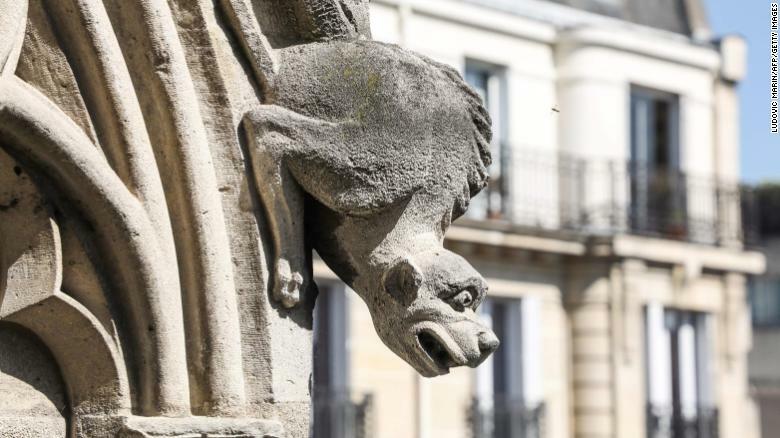 A distressed gargoyle adorns the exterior of Notre Dame Cathedral. • The archaeological crypt is located under the courtyard. It was created to protect 19th-century relics that were discovered during excavations in 1965. It opened to the public in 1980.